Honiara is the capital of the Solomon Islands and of Guadalcanal Province. Guadalcanal was witness to fierce naval battles during WWII and was a turning point in the Pacific campaign. "Iron Bottom Sound" is host to hundreds of wrecks. Destroyers, minesweeper, troop carriers, transport ships, submarines and planes provide an incredible range of dive sites. Honiara, the nations' capital and international gateway, is the stopover point for travellers wishing to visit some of the land based WWII sites. Honiara has a harbour from which ferries depart to the various provinces. The gardens of the National Art Gallery are popular, while the reconstructed Government House and the National Museum are worth visiting. The spectacular Tenaru falls can be found a one hour's drive and a three-hour hike from Henderson International Airport. Honiara, population approximately 80,000 is the capital of the Solomon Islands and of Guadalcanal Province, although it is a separately administered town and is the international gateway to your holiday adventure. Honiara is located on the northern coast of the island of Guadalcanal and includes a sea port at Point Cruz. The town revolves around the Kukum Highway, which connects the airport (the former Henderson Field) in the east of Honiara with the settlement of White River in the west, and passes the National Referral Hospital and the Chinatown (burnt down in 2004 election riot). Honiara is located at 9°28' South, 159°49' East (-9.46667, 159.81667). The town overlooks the large lagoon known as “Iron Bottom Sound”. This expansive body of water is the resting place of the many ships and aircraft that plummeted to its depths, during the WWII Battle of Guadalcanal. Honiara offers a range of water and land based activities, guided historical and cultural tours. NB: All wrecks are National Heritage listed and the removal of any item is strictly prohibited. Snorkelling: A snorkelling trip will provide the opportunity to view the variety of marine life and hard and soft corals. 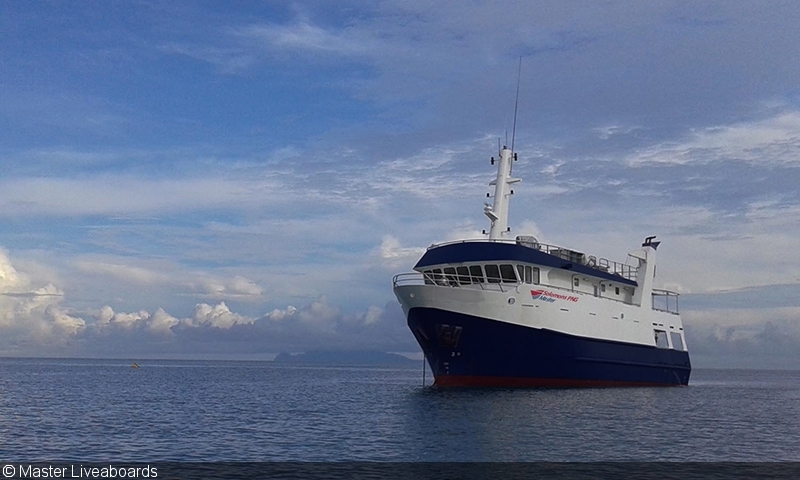 Fishing: The Solomon Islands are virtually unspoiled by commercial fishing. The big fish action is amazing. You can troll for Spanish Mackerel, Wahoo and Dog-tooth Tuna. Serious fishermen can pursue Pacific Sailfish, Yellow-fin Tuna and blue, black and striped Marlin. Golf: Honiara Golf Club has an 11-hole course. The club sits on the former site of the US Army Air Corps airfield. Hiking: If you enjoy jungle treks, then a guided trip to the Mataniko Falls and caves is highly recommended. The tour is a leisurely 4-5 hour round trip. It offers different routes, allowing the return trip to be either on foot or to swim or float back down the river on a rubber tube. World War II tours: Guadalcanal was a major turning point in the Pacific Campaign of WWII. Many relics from the battles can be found on land as well as underwater. This tour takes the visitor to view relics, museums, and monuments of great significance to both the Japanese and US Allied Forces. Areas of interest include Bloody Ridge, US Memorial, Vilu Outdoor War Museum, Bonegi Wreck, Vouza Monument, Henderson Air Field and Memorial Garden. Cultural village tours: Solomon Islanders are proud to introduce visitors to their unique way of life. A village visit is a great way to gain insight into their everyday village life. Experience the unhurried way of life, learn about their customs and cultural history, enjoy traditional singing and dancing and view cooking, weaving and handcrafts. Island day trips: Enjoy a day trip to the Florida Islands. Explore the islands, laze on a beach, swim in the calm, crystal clear water, play beach volleyball, paddle a canoe or just kick back in a hammock with a book and cool drink. Honiara town centre has many interesting shops, some specialising in local handicrafts, others in duty free goods. The range of products however is limited. Here also is the centre of commerce, banks, postal service, Telecom, restaurants, tourist information centre and local tour operators. A good selection of restaurants offers a variety of cuisine. Some hotel restaurants feature cultural nights with local musicians and groups performing traditional song and dance. There are a number of Chinese restaurants and others that specialise in fresh local seafood such as Coconut Crab and Lobster. Japanese, Thai and Italian dishes can also be found on the menus in Honiara. The outdoor markets around town are a wonderful opportunity to mix with the locals. Here you will find an interesting array of local goods and produce, from fresh fish and vegetables, fruit, peanuts and betel nuts, to carvings, basket ware, calico lava-lavas and shells. The climate is tropical, the average daytime temperature is about 28 degrees Celsius, the water temperatures between 27 and 29 degrees. Damper periods are predominantly between November and April. The average amount of precipitation per year is about 2,000 mm and thus somewhat lower than the average on the entire Solomon Islands (3,000 mm). A Japanese transport ship of 6860 tons, with an overall length of 508 feet. An excellent dive starting at 3m plunging to 55m. This 436 foot long Japanese transport ship still rests partly above water, with the stern in 27m. Excellent for snorkelers and divers. An advanced dive available only when conditions permit. She is an American troop/cargo ship lying in 36m to 55m of water, off Henderson field. For the more experienced divers, some of the most fascinating wrecks are; "Sasako Maru" and "Azumasan Maru".